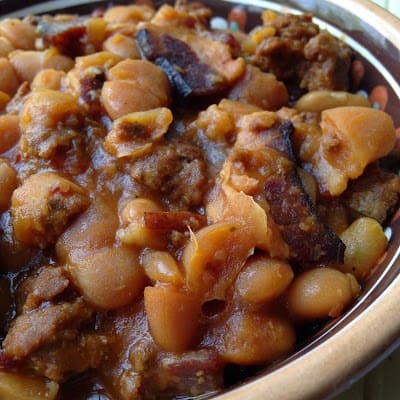 Hearty Bean Bake is the perfect hearty and delicious baked bean dish to bring to any picnic or potluck dinner. 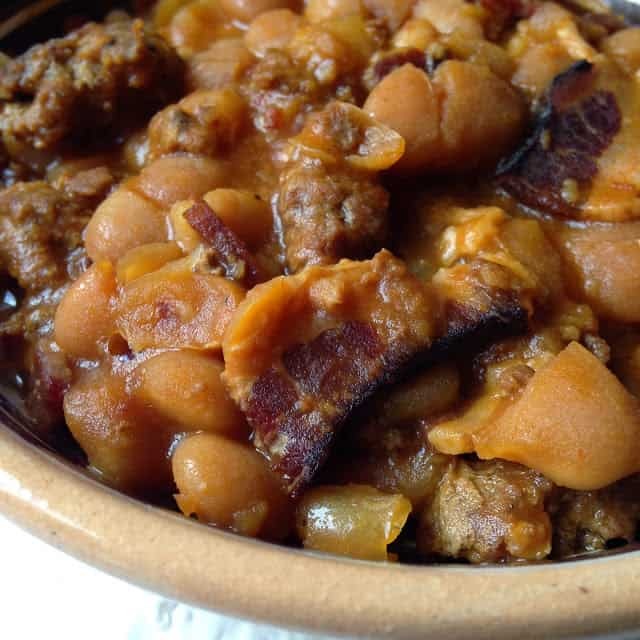 Another name that this rustic casserole/baked bean dish goes by is Calico Bean Bake. 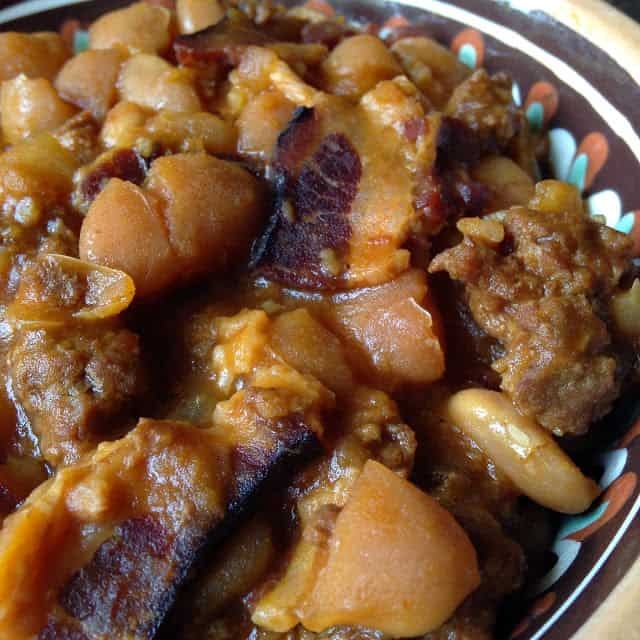 A baked bean dish enjoyed by settlers and cowboys on the Great Plains. At that time this rustic casserole was served as the main dish but now it’s served as a side dish at most picnics and potlucks. The traditional ingredients in bean bakes or bean casseroles are; dried bean or canned bean, bacon, salt pork or ground beef, onions and sometimes chilies. The sauce is a tomato based, sweet sauce made with ketchup, barbecue sauce or even tomato soup and the sweet is usually brown sugar, molasses and sometimes honey. Bean bake recipes vary greatly. There are as many bean bake recipes as there are cooks. Bake at 325 degrees for 4 to 6 hours or until beans are tender.